Discounts are available to current PTontheNet members. You need to log in before using bookmarks. Life is basically an endurance sport with intervals of speed. With American stress levels at an all-time high, being skillful in how we deliver exercise is an essential element to improving health and well-being. The cooling down period could be just as important, or even more important, than the heating up periods for long-term success. Most of our clients are stressed out and exhausted before they see us; so, how can we provide a meaningful workout without adding more stress to the body/mind? Mindful breathing with nasal dominance during exercise is a great way to keep heart rates down and balance autonomic nervous system (ANS) all the while creating a detoxifying experience from the organs of the GI track and minimizing muscle and joint damage. Mindful breathing is the practice of nasal breath regulation playing close attention to the length, depth and pace of the inhale and exhale. Incorporating this into fitness and athletic training is the platform for “active” recovery. In respiratory physiology, we understand that the inhale activates a sympathetic response (heat, cortisol, physical energy) and the exhale creates a parasympathetic (cooling, serotonin, mental awareness) response. Diaphragmatically, slowing the pace of our inhale, not only stimulates energy production from our gastrointestinal organs, but also provides an opportunity for balancing a sympathetic and parasympathetic hormone release of our “flow” neurochemicals. Breathing diaphragmatically and lengthening our nasal exhale activates a recovery period on the exhale. The longer the exhale, the greater the opportunity for recovery because the exhale is all parasympathetic (Elliott, 2010). Read the entire article here. Ed Harrold is an inspirational leader, coach, and educator. Ed’s mastery in the science of breath has guided him to apply mindful, conscious breathing practices in fitness, weight loss, stress reduction, healthcare and overall health and well-being. 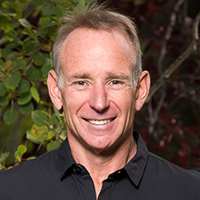 Today, Ed blends the fields of neuroscience and the wisdom of contemplative traditions into effective strategies to improve health, fitness & well-being in Corporate America, Healthcare, athletic performance and individual health. Ed’s fluency in mindfulness-based strategies combined with the belief in the human potential gives him the depth and understanding to meet individuals and group needs across industries and platforms. Thanks Jaclyn! Let me know if you have any questions along the way. Thanks. Very interesting. Will incorporate.